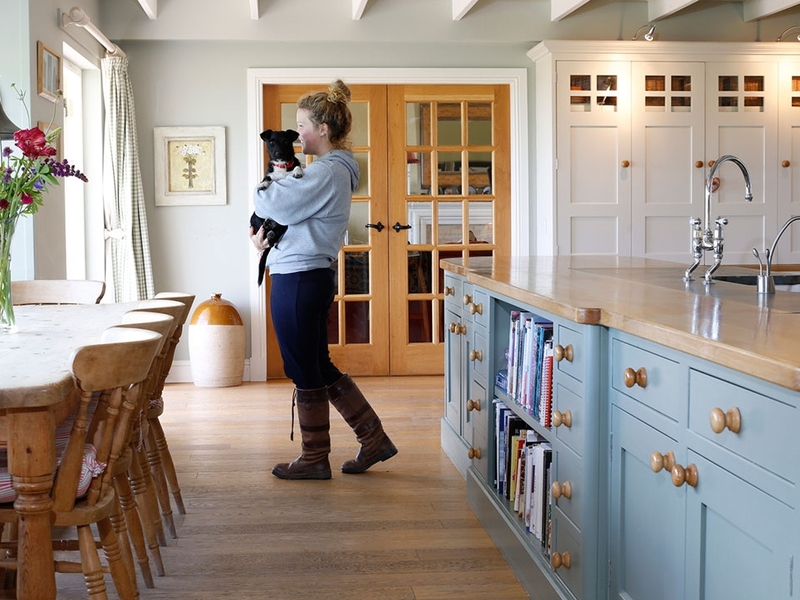 From awkward to seamless, perfecting the floor plan. 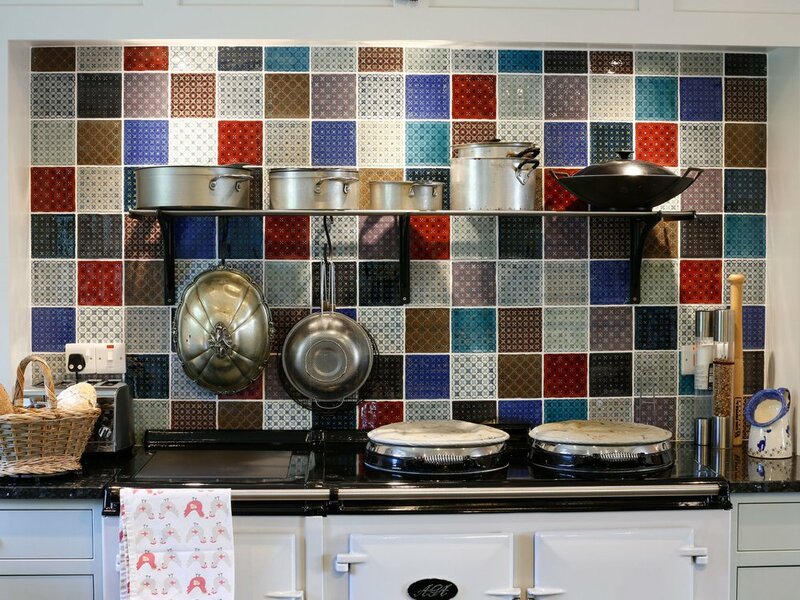 She also knew that you only get one chance to design a kitchen and, wanting it to be perfect, she got in touch with Countryside Kitchens & Interiors. 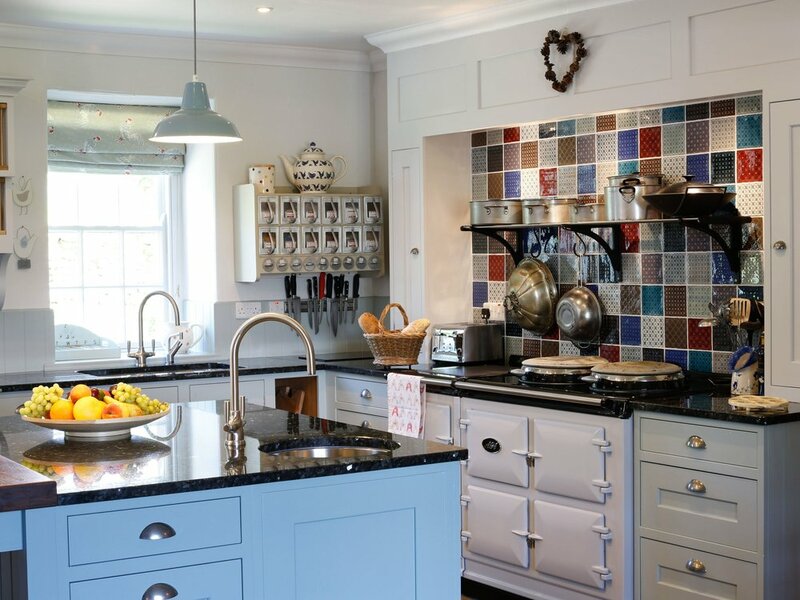 Shona has an amazing knack for visualising space potential and she immediately spotted the solution – moving the Aga and placing it against the opposite wall. 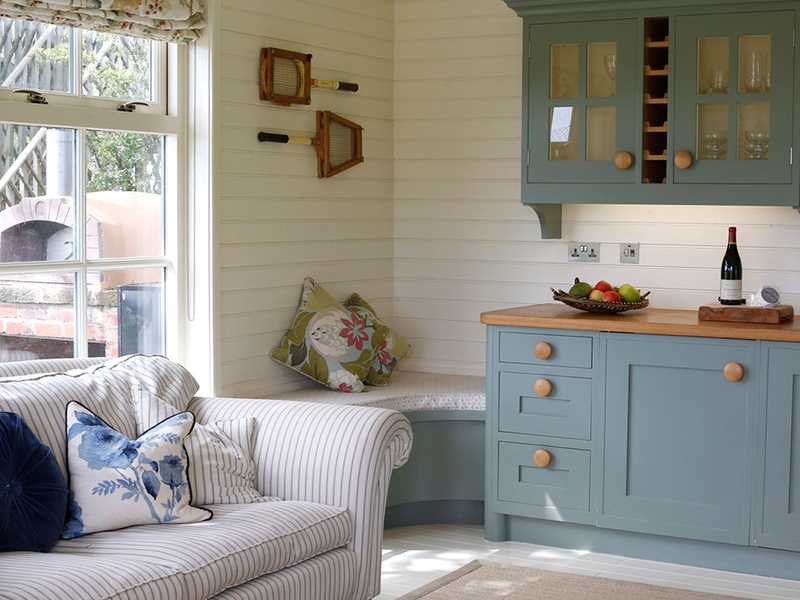 Countryside Kitchens & Interiors came up with a design that completely reversed the kitchen to give access through French doors onto the garden and patio, with the main sink now also facing the lovely garden view. To create the ‘magic triangle’ of cooker, sink and fridge for efficient workflow, a second small fridge was installed in the island. 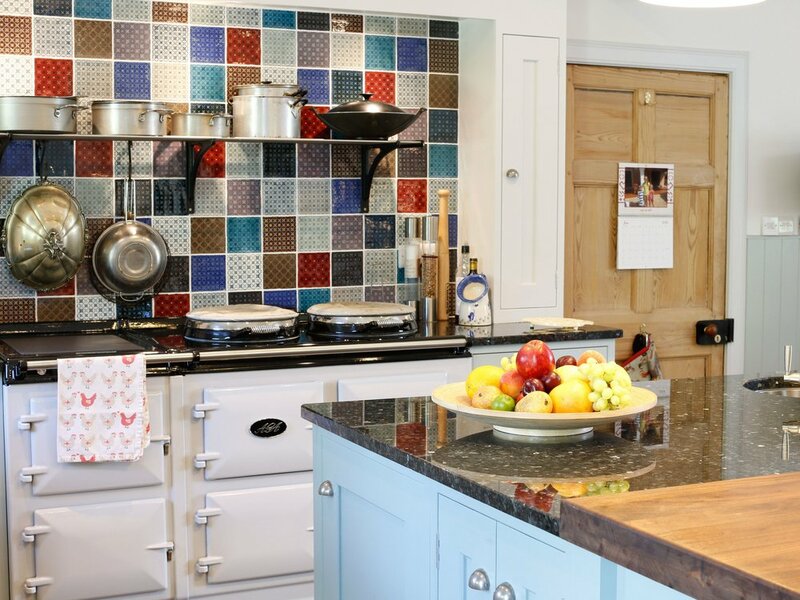 “This gets used for small things, butter, milk, cheese… so that I can quickly get the kids a snack.” Shona and the family also discussed a few unusual bespoke storage features to help minimise clutter and keep worktops free.